You can add Prospect manually when you need to quickly add a few prospects. 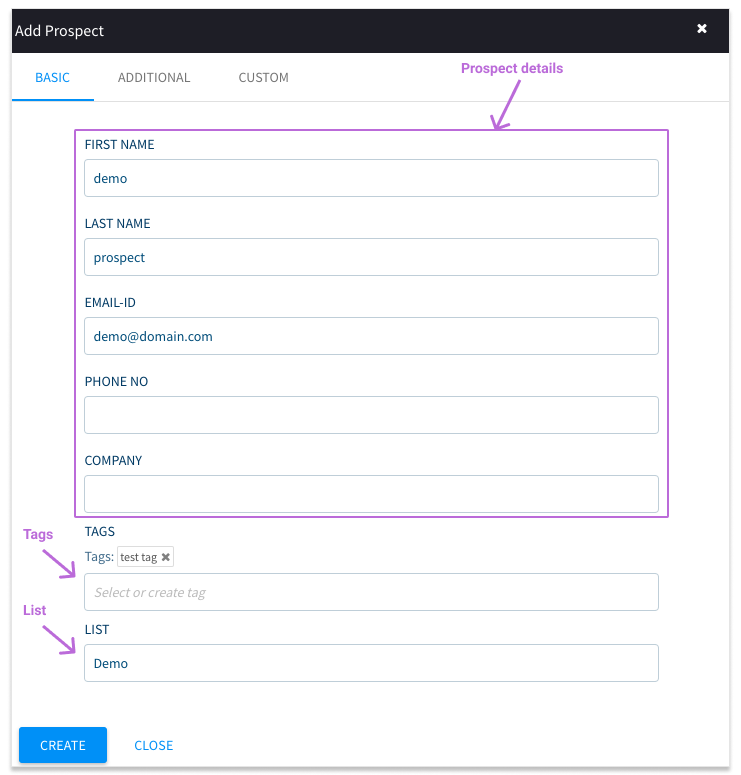 Login to you Klenty account and go to Prospects -> Add prospects. Click on the + Quick Add button, and enter your prospect’s details. Add the prospect to a new or select an existing Tag/List and click on Create.